What is spam? Technically, it is unsolicited commercial email (UCE) or unsolicited bulk email (UBE). In other words, email sent in large quantities to users who did not give permission to receive those messages. However, that only scratches the surface. In reality, spam is any email that is determined to be unwanted by any entity between the sender and the recipient. This includes filtering services, Internet Service Providers (ISPs), inbox providers, corporate information security, and potentially more. Each service that processes a message in transit has the potential to stop it for one reason or another. Commercial email must meet legal conditions as well, like the US’s CAN-SPAM and Canada’s CASL. Getting any particular email to an inbox therefore requires jumping through a lot of potential hoops. How much does spam cost? One thing to remember about email is that many people bear the cost, including the end recipient. In the case of mailbox providers (Google/Gmail, Yahoo, Comcast, Hotmail, AOL, etc. ), the costs include not just processing the messages, but long term storage of the messages as well. This is also true for corporate email which often must be archived for years. Stopping unwanted email saves on those resources and companies put numerous controls in place to help minimize those costs. If you consider that spam percentages range anywhere from 50% to 95%, you can imagine that cutting that down appears to be a worthwhile expenditure for anyone processing email. Anti-spam products and services use numerous filters to identify spam including content scanning, image analysis, domain or IP reputation services, email authentication, virus checking, URL identification, and other information from various threat research labs and big data mining. Likewise, large scale mailbox providers like Google and Comcast use not only similar methods, they also use data provided by the end recipients as well. They can track whether a user opened a message, moved it to trash, marked it as spam, unsubscribed, etc. And they can then track those actions across all of their recipients who received that message or messages from the same sender providing an impression of how their user base perceives that mail. 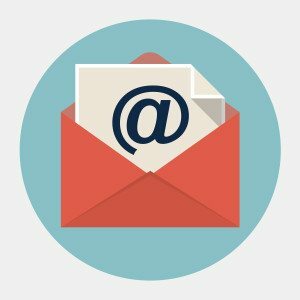 Consider that at a recent Email Evolution Conference, four of the largest inbox providers (Gmail, Comcast, Outlook.com, and AOL) stated that they consider 95% of inbound messages to be garbage. How do you ensure that your email is in that “wanted” 5%? You need to understand that it does not matter how important you think your messages are. It doesn’t matter that your recipient opted in to your content in the past. It doesn’t matter that your mail meets the conditions of CAN-SPAM, CASL, or any other legislation. It only matters that the recipient wants your mail and wants it right now. It simply doesn’t take a lot for your mail to get blocked. A lot of spam is not sent by scammers or bad actors with malicious intent; it is sent by people with legitimate business motives who simply don’t understand all of the written and unwritten rules. Think of your own personal inbox. Do you only receive messages that you want? Always? Do you get too many messages from certain senders? Have your interests changed since you signed up for a particular newsletter or vendor? This is how your recipients are looking at your traffic. Likewise, providing easy, better yet one-click, unsubscribe is another parameter many vendors evaluate. Valid email authentication (SPF, DKIM, DMARC) is another factor. Acquire your recipients in accepted fashion: make sure you really have consent and confirm their opt-in. Track your engagement: monitor delivery rates, open rates, click rates, and other metrics that indicate how your recipients are interacting with your traffic. Segment your sending: do not send the same mail to all users all of the time. Understand the engagement of your recipients and send accordingly. Warm up and cool down: start sending slowly. According to some of the big players, start with tens of your best recipients for any new campaign, IP, domain, etc. And ramp down your less engaged or inactive recipients. Make unsubscribe easy: give recipients one-click, very visible methods of getting off of this or all lists. This will actually increase your overall deliverability as opposed to upset recipients simply marking your mail as spam. Authenticate your mail: use proper SPF, DKIM, and DMARC to make your mail more trusted by receiving mail servers. In the end, navigating the minefield of spam detection and subsequent filtering means doing all of the right things at the right time. Do not let ignorance of the landscape keep your messages from getting where you need them.